Join the Georgia Conservancy on April 27 for a day paddle on the beautiful Augusta Canal. On April 27, explore the history, urban design, and future of the City of Atlanta with Civil Bikes! Our goal is simple: Create a connection between some of Georgia’s most underutilized, stunning natural places and the people we need to help us protect them. Our 2019 schedule offers Heartland Rivers of Georgia Paddle Series trips, Georgia Bucket List Adventures, and Service Weekends in every corner of the state, as well as expanded Day Trips, EcoAddendum Naturalist Outings and REI Adventure Series Trips. Fear of missing out on a great time? Become a Georgia Conservancy supporter to receive notification of trip releases and Georgia Conservancy updates! Thank you to REI and Patagonia Atlanta for their leadership and support of the Georgia Conservancy's Stewardship Trips Program! Thank you to the many volunteers and partners who make our trips program possible, especially Georgia Power, Indian Ridge, the George M. Brown Fund, the Georgia Canoeing Association, SweetWater Brewing Company, Sweet Grass Dairy, Cafe Campesino, Keeping it Wild, ASW Distillery, Whitewater Express, Three Rivers Outdoors, SouthEast Adventure Outfitters, Georgia State Parks, Georgia Department of Natural Resources, the National Park Service, Ossabaw Island Foundation, Jekyll Island Authority, Montane Sparkling Water, and the many excellent Riverkeepers across the state of Georgia! Since 2012, the Heartland Rivers of Georgia Paddle Series has introduced thousands of people to Georgia's Altamaha, Chattahoochee, Etowah, Flint, Ochlockonee, Ocmulgee, Ogeechee, Satilla, Savannah, Suwannee, and Yellow rivers, as well as Ebenezer and Spring Creeks. Many of the paddle trips are hosted over a full weekend and include the opportunity for camping, hiking and live music. The Georgia Conservancy offers a number of opportunities throughout the year that provide participants with the chance to both explore and give back to some of our state's most precious places. Our 2019 Service Weekend schedule includes trips to Cumberland Island National Seashore, Ossabaw Island State Heritage Preserve and Sapelo Island National Estuarine Research Reserve. Our Bucket List Adventures introduce explorers to Georgia's greatest natural treasures and offer exciting and educational experiences that one can remember for a lifetime. 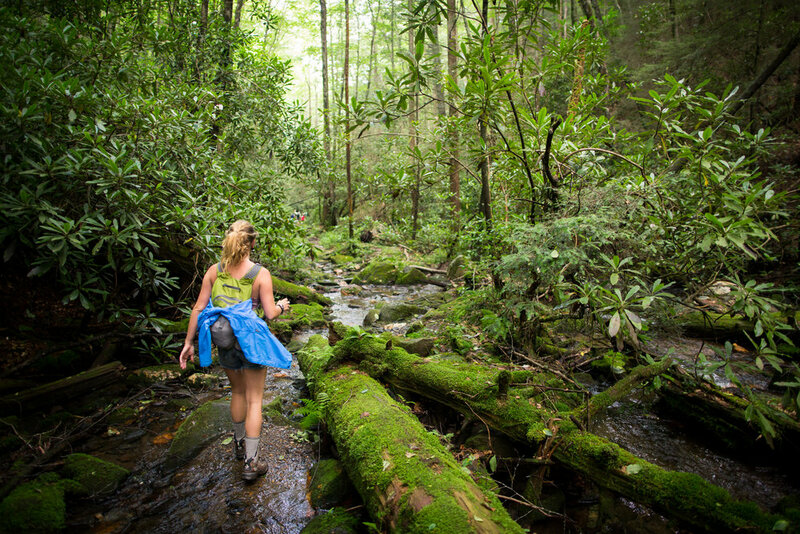 Our 2019 Bucket List Adventures include trips to the Cohutta Wilderness Area, Conasauga River, Okefenokee National Wildlife Refuge, Jekyll Island, Unicoi State Park, and Cloudland Canyon State Park.